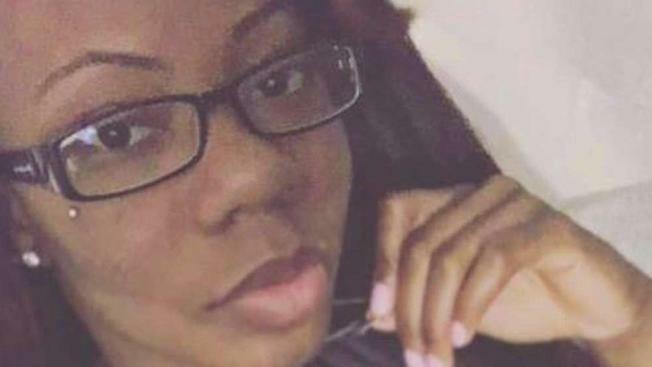 Police have discovered an unidentified body in a car registered to a 24-year-old New Jersey woman who vanished last year. Wale Aliyu reports. The body discovered in a car registered to a 24-year-old New Jersey woman who vanished last year has been positively identified as the missing mother. The body found in the vehicle's back seat is that of Shanaya Coley, of Paterson, who went missing at the beginning of December in what prosecutors described as a possible abduction. On Sunday morning, police responding to a call reporting an unattended car in the parking lot of an apartment complex on Marion Street in Paterson and discovered a gray Nissan Altima registered to Coley, the Passaic County Prosecutor’s Office said. Officers found a body in the vehicle’s back seat, and on Tuesday officials positively identified the body as Coley's, the prosecutor’s office said. Coley was the victim of a homicide and died from puncture and incision wounds. Prosecutors said she may have been hurt and abducted from her car. The man who found Coley's car on Sunday told NBC New York the car had been in his apartment building parking lot for months. As the weather got warmer, he started to notice a strange smell he hadn't noticed in the winter, he said. "The smell was so bad that if you were to walk in front of it, it would have pushed you away," said Wilfredo Morales. Coley, who has a son who was 3 years old in December, was last seen near Colonial Avenue in Paterson shortly before 11 p.m. on Dec. 5. The car discovered on Sunday was parked less than a mile from that location. Residents at the complex said the car was parked in one of the few spaces not reserved for tenants. But it's not clear who does get to park in those spaces. Friends of Coley were baffled as to how the car could have sat there, with her body in the back, for so long, with no one noticing something amiss. "I just think it's terrible nobody knew she was back here," said friend Tyshawn Davis. "It just seems so planned. Somebody just knew, they took a lot of time to plan this, this location." "There's other cars back here, so they are coming home from work and they have to see an unattended vehicle here for so long," he continued. "It was all over the news." The landlord of the building hung up on News 4 when reached for comment. Coley’s father previously said that blood and his daughter’s glasses were found in the parking lot of the apartment complex she lived in. Coley had taken out a restraining order against an unknown person prior to her disappearance, he added. Shanaya's mother, Rachel Martin, said Monday she was grateful to her community. "It may not have been the way we wanted it to be, but they returned my child to me," she said. Anyone with information is asked to call the Passaic County Prosecutor’s Office tips line at 877-370-PCPO, email tips@passaiccountynj.org or call the Paterson Police Department Detective Bureau at 973-321-1120.